The ageing facility, amounting to 13 million liters entirely in wooden barrels, is the largest in the whole Balsamic Vinegar of Modena industry. Acetum specializes in production under private labels: we can offer a wide assortment of bottles’ shapes, high qualities and flexibility in packages. 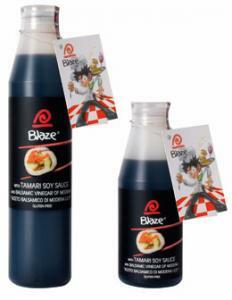 An innovative marriage between PGI Balsamic Vinegar of Modena and Tamari Soy Sauce. 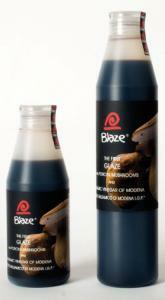 It is rich in Umami taste and has the complexity of flavors of matured Balsamic Vinegar of Modena. It is also gluten free. It can substitute Soy Sauce on raw fish adding a more intense flavor, and it is also excellent on grilled chicken or salmon, on stir-fried vegetables or pork, or even as a dipper and for marinades. Agretti Fruit Vinegar is a 100% natural condiment made with simple ingredients such as Fruit Pulp, Wine Vinegar and Grape Must. Only the best fruits are selected and harvested once they reach their best maturation point. Agretti condiments are ideal on salads, to glaze meat, for marinades and are also excellent also with aged cheeses and fruit salads. They are available in the following varieties: Apple, Cranberry, Fig, Mango, Peach, Plum, Pomegranate, Raspberry and Strawberry. This innovative yet simple sauce combines Balsamic Vinegar of Modena and Mustard, joining the bittersweet taste of Balsamic Vinegar of Modena and the spicy taste of Dijon Mustard. The result is a superb sauce that has a variety of applications. 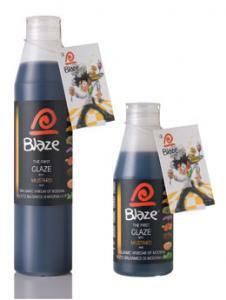 Ideal on meats (chicken, pork, beef or turkey steaks), it is great for BBQ and stir-fried dishes. A great substitute of Mustard on fried chips, hamburgers and hot dogs, Blend with a few spoons of Extra Virgin Olive Oil and it makes a delicious vinaigrette for your salads, Carpaccios and bruschettas. A succulent glaze with an intense Porcini taste and aroma. Great for risotto, pasta, meats, over cooked vegetables, aged cheeses and even with fried chips or sandwiches.